I refer to your letter dated 30th November 2018 (CASA Ref: F18/2267 attached) in which CASA now concedes that there is no valid safety case against the use of self-certification medicals for RPL/PPL holders. However, now shifting the foundation of your refusal to enact such reforms to a concern that doing so would introduce ‘regulatory complexity’. Furthermore, you express a concern that CASA would be responsible for administering (a self-certification medical standard) and ensuring compliance, stating that such a reform is an “unrequired additional pathway”. CASA is on the record as stating that a self-certification medical standard is safe for pilots operating outside of controlled airspace, with one passenger, in aircraft with an MTOW of 600kgs. The regulator has not presented any published safety-case or risk-assessment to industry or government that is contrary to the above statement. The industry’s call for the introduction of a self-certification medical standard for CASA-regulated RPL/PPL holders is based on a recognition that it is safe and that there is a need to achieve regulatory efficiency and red-tape reduction within the CASA regulated system that would create cost savings for both the regulator and the pilot community. That the introduction of a self-certification medical standard does not represent an increase in regulatory complexity, nor does it burden CASA’s regulatory administration or compliance surveillance. (g) the pilot holds a current Ausroads Private Drivers licence, operates outside of controlled airspace with a maximum of one passenger in an Australian registered aircraft that has an MTOW of up to 600kgs. This simple amendment can be immediately implemented by the Director of Aviation Safety and would enable CASA to commence issuing Class 2 medical certificates, with statutory conditions that permit the holder to operates outside of controlled airspace with a maximum of one passenger in an Australian registered aircraft that has an MTOW of up to 600kgs, on the basis of being supplied a declaration form from the pilot applicant. Any pilot issued with the proposed self-certification medical, will of course remain obliged to comply with the act and regulations thereunder. This simple amendment eliminates the need for CASA to create a full and separate medical standard that would result in creating unnecessary regulatory complexity and cost. Alternatively, CASA could issue a Civil Aviation Order to the same effect. The proposed amendment is consistent with Section 3A being the main objective of the act, it is consistent with Section 9A in that the proposal is considered safe by CASA, it is also consistent with CASA’s regulatory philosophy in that CASA is required to carry out its regulatory functions in an efficient manner consistent with air safety. We again call on CASA to immediately implement the proposed reform without delay. 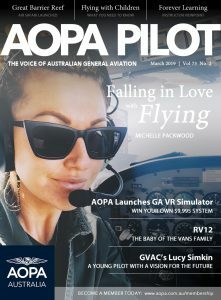 If you could please confirm with AOPA Australia of your intentions it would be appreciated. Thank you for your time and I await your reply.